In a large resealable plastic bag or shallow glass container, combine the first 8 ingredients. Add chicken and turn to coat. Seal or cover and refrigerate 8 hours or overnight, turning occasionally. Drain and discard marinade. Grill chicken, uncovered, over medium heat for 5 to 7 minutes on each side or until juices run clear. 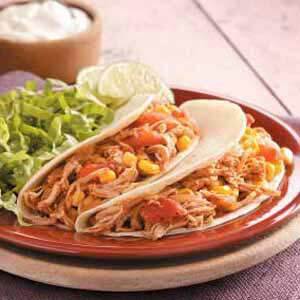 Cut into thin strips, serve in tortillas or taco shells with desired toppings.